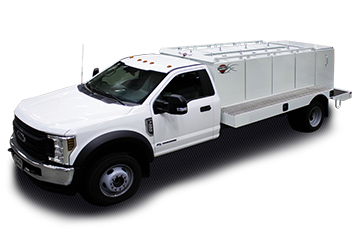 The Multi-Tank Upfit brings the functionality of a Multi-Tank Trailer to the medium-duty truck platform. It utilizes eight 115-gallon tanks that are only connected when a common manifold is opened at the pumping station. • Unrivaled fit, finish, form and function. • Exceptional warranty, service and support.